‘Isi Mataele is an attorney standing on the shoulders of giants. He is one of 10 Polynesian attorneys in California, a leader in his Tongan community, and a positive role model for many more Polynesian attorneys to come. Given that there are not enough Tongan and Samoan attorneys, Mr. Mataele is pioneering the legal field for our people and creating visibility for us in this country. Mr. Mataele is an experienced litigator. His practice is in civil litigation, but his background is in criminal law. He handles criminal, family, and civil cases. When he began his career, he found that he did have a talent for criminal, family, and civil litigation. Given the economy and minimal opportunities for law school graduates, he was forced to open his own law firm. He posted an advertisement online, and the public responded. His clients found him through the ad. His externship in the District Attorney’s office, during law school, proved to be an investment. He gained the valuable training that many law school graduates have to acquire shortly after graduation. Walking into his career prepared, he was ready to fight on his feet. Mr. Mataele chose law for his profession because he always wanted to help people. Having played football in college, he was a natural competitor. He explained that playing sports teaches a person how to work effectively with others on a team, be competitive, and exercise discipline. In fact, many attorneys have an athletic background. Mr. Mataele went on to say that, "Law is aggressive." A litigator has to know how to argue on his feet, handle confrontation well, and recover quickly from verbal sparring. Combining his desire to help others, and his fearless attitude toward obtaining solutions, he knew that becoming an attorney would allow him to capitalize on his strengths. Through law, he can advocate on behalf of others. He advises that everyone should know their rights because "people who don’t know their rights can’t assert them." Representatives - attorneys - can assist in asserting these rights. Some clients are not aware that they have a case when they actually do. An attorney can assist them in determining whether they have a case or not. Hiring an attorney will increase the chances in resolving the client’s matter. Mr. Mataele found mentors in his family, culture, and church. He witnessed the importance of higher education in the lives of his parents. His mother was the first Tongan female to obtain a graduate degree. His father attended college as well. His Tongan culture also cultivated his leadership skills by requiring the youth to participate in public speaking. These events fostered a love for story-telling. (Mr. Mataele reminded me that the trial process is all about telling stories. "Both sides try to present the best story with a theme. <In law school> we are taught to make it a compelling story that the facts will support.") Moreover, witnessing his elders fearlessly grab the microphone, speak from the heart, tell stories, and issue instructions, prepared him for civil litigation. Later, he was sent on a mission for church. On this mission, he spent significant time with the mission’s president who was an attorney. All of these experiences and people actually guided Mr. Mataele toward the prestigious career of being an attorney. Refreshingly, he remains compassionate in an adversarial career. Mr. Mataele said that great attorneys uphold civility in the court room – not to be nice, but to be effective. In a court room, the opposing counsel is also a colleague. This means that the litigators must work together. It’s easier to convince the opponent to move a hearing date or negotiate terms when the litigators are reasonable. Mr. Mataele also recognizes the need for "affordable attorneys." You can read about his thoughts on the subject in his blog articles on his website. There is an affordability gap between clients who need resources to obtain justice and the resources to do so. Seeing people struggle to find affordable legal representation left an impact on Mr. Mataele. He believes in high quality representation for the people, but he also believes in getting that representation to them. The affordability gap should not be a hindrance to justice. Like many great attorneys, Mr. Mataele is versatile. His Bachelor of Science is in Computer Information Systems. Unlike other graduate schools, law schools do not require prerequisites. But they do look for leaders! Remaining steadfast, Mr. Mataele attended law school full time while supporting himself and working part time in various jobs. He completed his law school education in the standard 3 years. ‘Isi Mataele is a heavy weight champion in his own right. Through hard work and commitment, he’s made a success out of his legal career. There are so many news reports of the decline in attorney careers and attorney opportunities. Yet, Mr. Mataele remains unscathed. He’s also someone who continually points toward his upbringing as the foundation for his strength and accomplishments. Mr. Mataele’s brand of leadership includes Polynesian elements of being civic minded and fearless. This interview really captures the essence of The Dream Makers Project. I sat down with my friend and respected leader, B.J. I chose her for this interview because she exhibits so many traditional strengths of a leader with the unique qualities of compassion and open-mindedness. B.J. and I worked together at my former job although we did not work in the same departments. Throughout her accomplishments and promotions, she’s kept a level head about her success and remained encouraging with others on their success to come. B.J. is a Moral Character Analyst at the State Bar of California. She plays a significant role at this prestigious organization by bringing her brand of excellence and using it to review applicants. B.J. managed to travel upwards within the organization. Previously, she worked as a Senior Administrative Assistant for 3 years, and before that as an Administrative Assistant II. Prior to working at the State Bar of California, B.J. was employed at a law firm as a legal secretary for 2 ½ years. Also she was a Site Operations Manager for 6 years, managing 14 staff members, handling operations, and visiting problematic sites to train managers and even replacing some. I share B.J.’s career background to show how vast and far she has traveled As such, B.J. knows a lot about leadership. When asked to define leadership, B.J. replied with a simple answer “contributions.” She believes that when you’re truly a leader you lead by sharing your knowledge, and building others. B.J. adds that this quality of leading requires courage and strength because there’s always a struggle with haters. But she explained that haters are actually just intimidated because they want to inhibit winners who pose a threat to them. When asked if B.J. had any role models to shape her into the person she is today, she shared that her family provided strong role models. Her mother, J.M., and her grandfather, G.L., set great examples of the leadership that B.J. embodies. She also added that Oprah has provided a great role model too. But B.J. maintained that her family - the people she saw every day, who loved and protected her, contributed the biggest impact on her life. B.J. has a positive influence on her loved ones and associates. Moreover, her friends have her back and support her to be the person she is. B.J.’s recognizes how helpful her friends are, and she supports others to be the individuals they were intended to be. She’s selective about her friends and purposely stays away from “negative” people. B.J. learned this lesson way back in middle school, and her discernment has served her well. When she learns that friends are of a negative nature, she cuts them loose. B.J. is confrontational at times so she does not allow others to waste her time. This quality is especially crucial in dealing with haters. Furthermore after haters reveal their true colors, B.J. accepts them as they are, forgives them, and then moves on without them. The key is that she forgives them. That’s a powerful step that’s often overlooked when people interact with others. B.J. endorses remembering, although we must forgive, so we don’t allow that line to be crossed again. To maintain her leadership on a team, she always shines. B.J. always brings her uniqueness wherever she goes. She stays on her A-game. What keeps B.J. in a class of her own is that she strives for consistency and excellence. Many of us choose one or the other. (I’ll be consistent but let’s negotiate excellence. Or I’ll be excellent, but just don’t ask me to be consistent about it.) Yet she strives for both daily. B.J.’s ability to shine began in her formative years. She listened to her mother who told her that she could do whatever she put her mind to. As a result, B.J. made things happen in school for herself: great grades, sports, modeling, singing, and acting. She’s well aware of her uniqueness because she’s always been complimented on this quality. Throughout B.J.’s life, her loved ones have recognized and told her that she offers a different type of friendship and relationship than they’ve experienced. B.J. brings her excellence into her personal life as well, and that is unique. She shared that she benefited from her mother and grandfather demonstrating their uniqueness and courage to be authentic. Having her own strong sense of leadership has kept B.J. self-directed. During tough times, she’s managed to take the obstacles and make them work for her. For instance, B.J. was raised in a strict household. Her activities were limited to getting good grades and focusing on homework. B.J. was only allowed to see friends and family. That was a lot of pressure on her as a young person to stay so focused while growing up in a busy city. But B.J. took this obstacle, and made it work for her by allowing it to mold her into the woman she is today. The strictness of her father was ultimately protective and communicating value for her even though she didn’t understand the reasoning when she was younger. Furthermore, B.J.’s leadership skills carry over into her adulthood. She takes the initiative whether it’s at work, or in her finances, or in her personal matters. B.J. does not wait for someone else to take care of business. 1. Never let anyone stand in your way. 2. Use negativity to disprove others. In other words, don’t let negativity break you. Challenge it by proving your success. 3. Maintain your own positivity. In remaining thoughts on the topic of leadership, there’s a poem that has also left an impression on her; “Phenomenal Woman” by Maya Angelou. B.J. 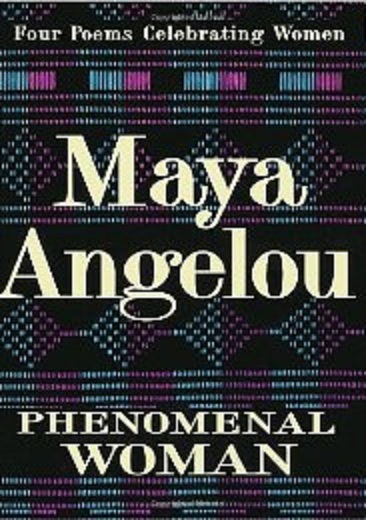 appreciates how knowledgeable Maya Angelou is and how her lessons are still relevant today. Interview conducted on December 7, 2012. I believe it is important to explore leadership in more roles of life besides the career front. I've observed that being a mother requires a lot of leadership and initiative, and I'm happy to share the story of one of these great moms. Tallulah is a new mother, a school teacher, and a straight-shooter. She tells it like it is. I've actually known Tallulah since our teens, and it's been a privilege watching her embrace this new chapter of her life: motherhood. Her baby daughter is only 2 months old, and already full of personality. The child has earned the nicknames "Bug" and "Bug-a-lug-chug." Tallulah leads her daughter by teaching her. She's taught "Bug" early on lessons in fun ways. A cool example of Tallulah making learning fun is her use of the "Cartie and America" book. She showed photos from this book to her daughter in an effort to introduce her to colors and shapes. It's an effective yet novel way to share time with her little one. As a new mom, she's maintaining her own identity and still spending time with her daughter. There are of course more traditional ways she teaches "Bug" lessons and spends time with her little one, for example kids programs and talking to her, but this was just one of the fun examples. Tallulah also leads her friends and family by being a resource for curious loved ones. Her cousin's girlfriend, who is not a parent, asked how the labor went. And Tallulah spoke from her own experience and explained that it (the labor) was easier than expected. She shared that everyone prepared her with horror stories of child birth that by the time she had to deliver, she was more than ready. She's there for her peers who are interested in parenthood by answering their questions and letting them know what to expect. There are no funny stories with "Bug" yet. But there have been challenges in motherhood. As a new mom, she came to the tough realization that she can't control everything. "A 12-pound person can come around and rearrange your plans." She explained that parenthood is a sure way to teach a parent that everything really doesn't revolve around oneself. Tallulah is married and therefore shares her leadership role in a partnership. She explained that the leadership among partners is a give and take relationship. Partners have to decide early on to compromise on what's really important. These parents had to negotiate on the age "Bug" gets her ears pierced, and they had to negotiate on the christening (whether to have one or not). Camaraderie is very important. One of the secrets in Tallulah's partnership is that she and her husband laugh a lot, and this laughing enables the give and take instead of just one person dictating the relationship and raising of their child. Becoming a mother has also given Tallulah more purpose in life. Prior to delivering her baby, her life was already full as a wife to her husband, daughter to her parents, sister to her brothers, and friend to her loved ones. But this additional purpose feels new and different. She has some thoughts about how mothers contribute to society. There's more of an influence from mothers, and parents in general, when the kids are young because the little ones are around their parents more and kids just need more guidance. However, when kids grow older (teens), it's a bit tricky. Teens are more exposed to peer pressure and spend less time away from parents. So, it's important for mothers to instill values in their children when they're young because eventually the kids grow up and have to make decisions on their own. Tallulah went on to share that maturity is important for mothers, but that's not necessarily qualified by age. For instance, she knows women in their 30s who are not mature enough for this role compared to some younger mothers. Maturity depends on the person. In regard to preparing for parenthood, one book that sticks out to Tallulah is "What to Expect the First Year" by Heidi Murkoff and Sharon Mazel. The book addresses concerns of a parent from newborn to 12 months for instance how to determine when a baby is really sick or when the doctor should be called. As far as time management, it varies as a parent. Tallulah's a new mom, and her daughter's only 2 months old. So while her baby is young she doesn't control all of their time nor schedule a lot of outings because she factors in time to be flexible on what "Bug" needs. And without school playing a role in a baby's life just yet, it's not necessary to plan every minute of the day. As her child gets older, it will become super important to manage time for play dates with other kids and for acclimating to a school schedule. When I asked her how important it is for mothers to spend time with their children, Tallullah replied, "quality over quantity." It's important for mothers to make the time with their children count. Be genuine and be engaged. She added that if a mother stays home with her children all day but doesn't spend any time with them, then there's no quality. Whereas parents who work all day, every day, and return home to do homework with their children and play with them on weekends. <--That's quality! Just make the time meaningful. Tallulah said that, as a mother, it's important to remain open to learning. She, herself, has experience as a teacher dealing with children. Being a teacher, she practices routine in her daughter's life so the little one will feel safe with expectations at home. The use of routine will also make her baby feel safe. Yet, she remains open to listening to the other stories of other mothers. In fact, half of her friends are parents, and the other half are not parents. Nevertheless, she cautions that new mothers don't have to seek too much advice from experienced parents. "Too many spoons in a pot". She encourages new parents to follow their instincts. "You'd be surprised at how much you already know." Side note: Tallulah has a fondness for the evil queens of Disney. She says, "It just looks like these gals have more fun." Interview conducted on December 4, 2012. Products: Flower arrangements, creations, balloon decor, etc. For a FREE consultation, call our toll free number. Press 0 for a representative OR leave a message. You can order online through TiareBlooms.com. When I found out about this business, I was excited to tell the story! I live in the Bay Area, and our small business population in the Polynesian community is limited. Perhaps, this story will inspire more Polynesian Business owners in the Bay Area to make their web presence known not just for their own profit, but for more entrepreneurs to come. Meet Tiare' Blooms. This business is owned by Sofolonia Livai, a young Tongan female, not yet 30 years of age. She's of Tongan descent, and playing her hand well in American business world. The name on her business license is "Tiare' Blooms." Tiare' Blooms sells many products including fresh flower bouquets and arrangements, balloon decor, edible bouquets to flower leis, money leis, and gift baskets. Her product line continues to grow along with her imagination and creativity. And, yes, she makes all of these products. The idea for her business came to her when she observed her Auntie Folingi arrange flowers for their church in 2009. She'd sit, watch, and learn from her auntie arranging flowers that eventually Sofolonia fell in love with the process. Being a DIY (Do-It-Yourself) person, it was fun for Sofolonia to learn on her own how to make things in particular arts and crafts. But by 2010, she was determined to open a business, and she did. She founded and certified "Tiare' Blooms” that same year. Since she already had a career that occupied a bulk of her time, she opened Tiare’ Blooms as a side business. She works at the U.S. Department of Treasury. Her family pitches in to help as Sofolonia drives her business forward. She plans to develop this small business into a full-time family business. Sofolonia’s start-up costs were taken care of because she already has a great career. She financed her own business and absorbed the start-up costs. As far as location, she decided to keep it local for now. In the future, she will expand her services. Her greatest inspirations have been Jeff Leatham, Martha Stewart, and Kevin Lee. She started marketing her business by setting up her facebook page, twitter account, and Instagram account for her networks to “like” and comment on her products. In particular, on her facebook page, she set up an online raffle (prize: $60 TBLOOMS’ gift certificate) 4 times a year (per season) to promote Tiare’ Blooms. She also purchased business cards and a toll-free number for her customers to place their orders. Tiare’ Blooms is off to a great start with a steady customer base. Her consumers return because they’re satisfied with the finished products every time. So, the business owner’s hard work is paying off. She recently made plans to register for classes to collect more ideas and ways to improve sales although many of her lessons are gained while operating her business. Through trial and error, she’s gained marketing knowledge about pricing her products. She now sets her prices at a reasonable level so that her products are affordable and that her business is profitable at the same time. She gives her products a few tries before she makes the tough decision of giving up on a product idea. But giving up on an idea doesn’t happen too often since she’s determined to offer as many products as possible to her consumers. Testing product ideas are healthy to her business because sometimes the experiment leads to another idea on a new project. She puts in additional time to conduct research on the flower business. Since her products are visual, she gets the best ideas from visuals such as photos and pictures. But she remains competitive in the flower market by applying her special twist and experimenting on ideas. In addition to her day job, Sofolonia puts long hours into Tiare’ Blooms. Her hours range from 1 to 8 hours daily. It can vary with intricacy of the orders and the deadlines from customers and events. She follows a routine for creating products: 1) buy materials, and then 2) design/arrange the final products. Being an entrepreneur does affect her family life. She’s already decided to prioritize her small business to ensure its growth. When orders pick up, then her free time becomes consumed with the projects. It’s not a sacrifice of time. Rather it’s an investment of time to nurture Tiare’ Blooms. And yet, this business owner keeps her family as motivation for tending to her business. She has the vision that Tiare’ Blooms will continue to succeed and eventually provide for her future and her family. Sofolonia’s favorite aspect of being a businessperson is that she gets to put her skills and talents to work. She’s willing to do whatever it takes to succeed. She visualizes and believes that Tiare’ Blooms will evolve into something even more amazing in the future. She defines success to be the accomplishment of overcoming failure or any downfalls during the journey. Success is getting back up, and moving on. She goes on to say that the best way to achieve long-term success is to remain motivated and determined in whatever you do. Sofolonia has figured it out! The formula for success in business is to love what you do, and the products will speak for themselves. 1. Love and enjoy what you do. 2. Have patience with your business and let it grow. 3. Educate yourself on how to improve your business. 1. Strong customer service skills – The customers come first. Like Suze Orman says, “People first, then money, then things.” Make the customers trust in what you do, and they’ll be back. 2. Motivation – There has to be a reason or reasons why you’re operating your business. Keep yourself motivated and do not give up even when the orders slow down. Find ways to improve your business. There’s always room for improvement. I met Klykii at my last office job. Upon meeting her, among our other land bound mates, I hadn’t anticipated such a rich story from a young gal. I was pleasantly surprised and refreshed. Klykii is a globetrotter as well as a student, writer, and lover of life. She is on a mission to see the whole world, one continent at a time. Check out her blog, “Klykii’s life: the journey of a pseudo adult”. Her blog began as a travel chronicle, and now it’s grown to include reflections on moments of when she stands still in life. What inspired Klykii, to start travelling was a deep desire to be somewhere other than where she was at that time. She lived in San Francisco all her life and of course craved to experience something different. Picturing the complete opposite location, she thought of Iowa. But she later decided to visit Idaho instead as her first destination because it was more feasible. This first trip was important because it affirmed her desire to be on the move. She visited more U.S. states, and eventually other countries. Klykii’s first travelling adventure was “eye opening and hilarious.” Sporting pink hair and five piercings in her face, she flew to Boise, Idaho less than 2 months after her 18th birthday. She stayed at a seedy motel, and her room was in the floor below the lobby – “it was kind of a basement full of hotel rooms.” Although it was early May, the cold motel dipped into the mid-20s in the evenings. She met up with the one person she knew in Boise, a blogger. The gentleman was gay, goth, and a vegan. She had this stereotype in her head about Boise, and he completely shattered her expectations in a great way. She hadn’t anticipated diversity, but happily found it. Her memories about this visit are from 10 years ago, but she can still recall a lot of road construction, churches, motorcyclists, and mullets. Having visited other places has put into perspective how much she treasures her culturally diverse home. She enjoys befriending individuals who bring a different culture or other interesting aspect. As a result, when she travels to places that lack diversity she notices this right away. She prefers to explore other societies especially if they differ economically from ours. She travelled to developing countries, and she was surprised at how happy people can be even when they’re living off of 25 USD a day. Having seen this in person really changed her life. She grew out of being a person who “owned a ton of crap but valued little of it” into an adult who can live out of a backpack for 2.5 months and feel a sense of relief and contentment. Generally, Klykii learns something new after each trip except for places where she’s been to more than once – except for New York City. She brings home a part of the place she’s visited; sometimes it’s a tan that took 4 months to acquire (and then 4 weeks in San Francisco for the fog to fade it away). On the trips, she writes in her journal, takes photos, and collects souvenirs to some extent. The souvenir can simply be a postcard. She rarely journals, but she definitely takes photos as much as possible. These activities are done at a pace where she doesn’t miss out on the actual trips, maintaining experience over snapping the lens. Her favorite aspect of travelling is self-reinvention. In her hometown, she is pigeonholed into being one way the majority of the time. But when she travels, she’s forced to climb out of her comfort zone, talk to strangers, and go out into situations as opposed to play it safe and staying home with a book or a movie. Recognizing the limited time of her trips forces her to get the most out of these experiences. Klykii has travelled both on her own, and also with companions. She’s learned that travelling alone suits her personality better. Understandably, it is difficult to compromise with others on a trip let alone trust them to pull their weight in the financial sense after agreeing to a budget. And in the end, she feels that she grows more every time she travels alone. She travels with an agenda even it’s to unwind and to get lost somewhere. Ironic but true. In addition to travelling, she also pursues higher education. Currently, she is in a graduate program abroad. But balancing travel and education has proven difficult. It’s been easier to make domestic trips by taking 2 days off from work and tacking them on to a 2 to 3 day weekend. Alternatively, she’s taken vacation time from work and coordinated it with winter vacations at school. But it is not the best course of action if one is on a tight budget. One trip, in 2008, she actually missed a week of school so that she could travel. (Well worth the sacrifice!) Yet the most challenging decision she made was taking a leave of absence from school and quitting her job at the same time in order to travel and teach abroad. She struggled with this plan because she feared the aftermath. What if upon her return it would be impossible to find professional contentment and motivation to complete her undergrad program? However, the desire to take this leap consumed her thoughts, and she knew it was time whether it felt right or not. By the end of the deliberation, she reached a point where she had to take the teaching job abroad because she was compelled to do so. As far as suggestions, depending on the length of the trip and destination, Klykii recommends budgeting early. For instance, if you’re travelling somewhere that is expensive to travel to, save the equivalent of approximately 2 round trip flights before even purchasing items for the trip. This way, your preparation is already started. For example, if the trip is to Hawai’i for a week, the pre-budget puts you ahead in preparing financially: you’ve already saved up for the flight and some of your hotel. Klykii tries to think in terms of, how many paychecks is this going to cost? Travelling has shaped Klykii into who she is today. She’s taken risks that she never thought she would. She quit the best job she ever had because she knew she had to act quickly and trust her instinct. Travelling has also taught her that there’s no escaping who you are ultimately. She’s still a shy person whether starting a new job in the bay area or trying to negotiate the prices of pillowcases in India. There is a great line from a book called, “Karma Cola” by Gita Mehta which KlyKii read on her down time while on a trip. In it, Mehta talks about tourists coming to India in droves, “to be born again, with the conviction that in their rebirth they will relearn to live.” Klykii carries this quote where ever she goes. Photo taken by Klykii during one of her amazing trips: "on one of the islands off the coast of Mumbai, India"
Pam is a self-made business owner who sells homemade soap. She began Kettlepot Soap in 2000. Since then it’s been a fun and challenging 12 years in business. She maintains her business venture along with a full time day job. Making soap began as a hobby. Pam’s inspiration came from her trip to Ireland. There she found an all-vegetable soap that knocked her socks off. Having an inquisitive mind, she wanted to know how this type of soap was made. She read books, conducted Internet research, and experimented on making soap herself. She made herself an expert in fragrances, essential oils, additives, colorants, and soap chemistry. After a bunch of test batches, she developed her own unique formula. That was the moment her hobby turned into a fledgling business. Kettlepot Soap is now a successful one-woman operation. In addition to its financial rewards, it keeps her workspace very aromatic. 1. Know your craft inside and out. Become an expert. Know how to make it work, and know how to fix it when it fails. Don’t sell before you are ready as you don’t want to sell inferior work….it’s hard to keep customers that way. 2. Know your target audience, and develop your brand in keeping with your product and audience. Don’t try to please or sell to everyone as that just doesn’t work. Decide what you want to make and how you want to present it to the world. Pay attention to feedback. 3. Make changes only when necessary. Once you’ve established yourself in the marketplace, be sure to investigate new ideas before incorporating them. If you change your formula, your regular customers will notice; be certain that you are contributing improvements to your products and not otherwise. Also, your business and/or products might be regulated by laws pertaining to your field so be sure to stay informed and follow the guidelines. For example, if you are making skin care products or food, keep up with the FDA guidelines. 1. Plan your start: Design a plan to get you from the starting line to the finish line. This includes setting goals with timelines so you can measure progress, a budget, a separate checking/PayPal/credit card account and a way to track your costs. Decide how much you are willing to invest (and possibly lose) and be sure to keep your spouse/partner informed. Find and subscribe to user groups and forums; be a nice player there and don’t expect people to share their secrets but do expect to help and be helped. Set up an organizational system that works for you. For making soap, I need to have my recipes, ingredients, costs for ingredients, orders, tax information and forms, bank statements, etc all organized and easy to access. Get a great name for your company and search to be sure no one else is using it, particularly in a related field. Have a “spill” plan for when something goes wrong. For example, a lye spill or an oil spill needs to be cleaned in different ways. Check out what insurance you may need, formation of an LLC, find a small business lawyer and an accountant. 2. Plan to sell: Have your website, shop or show plans in place. Study the web sites of people who make and sell something similar to you. Visit shows you may want to sell at to see how your products may fit. Shop your own website/Etsy/Artfire etc and see how you like it. Have excellent photos of your work. Determine your policies for payment, returns, lost parcels, hosting sales, theft, complaints and compliments. Decide how you will communicate with and advertise to your customers (such as email, Facebook, Twitter, etc.). Register and trademark you company name and logos and designs. Know how much it costs to make each item, your wholesale mark up price and your retail market price. Understand your profit margin. Be the expert at your craft. Only sell excellence. 3. Start selling: Be sure you are as expert at your craft as you can be before selling. Review your start up plans to see how you are doing to get your shop going and adjust your plans accordingly. Practice setting up your booth for shows and take pictures so you can assess and make changes. Start to think about what you need to do to maintain your business and add those plans. Chart data to measure your goals. Assess your organization and make necessary changes. Monitor what you are buying and what you are using and omit things you don’t need. Start to figure out what you can buy in bulk for cost savings. You’ll be even busier once you start selling. 4. Plan to maintain: Now you have orders coming in and need to juggle filling orders as well as everything else! Review your maintenance plans to see how you are doing and how to improve. Keep charting data to measure your goals and sales. Revisit your profit margin: Do you need to raise the margin? Move more units, or both? Assess your organization and make necessary changes. Monitor what you are buying and what you are using and omit things you don’t need. Keep figuring out what you can buy in bulk for cost savings. Invest in tools that may make production easier and quicker. For soaping, buying “linerless” molds and good soap cutters has saved me a lot of time. 5. Plan to expand, maintain or close: All of these options involve many decisions and can be analyzed in similar ways. Do I need to add products or subtract? Have customers been asking for X or Y? Do I have enough customers? Am I enjoying things? Do I thrive on the challenges? How do my sales REALLY look? Do I want to borrow to expand? Do I need to? Do I have the space or time or energy to expand? Will I need to hire help? How will I keep everything organized and stored if I do expand? Can I operate more efficiently and effectively? For example, the next major expansion for my soap business would require a building with temperature and humidity control, the means to have pallets of oils and lye delivered, the means to store thousands of pounds of ingredients, the means to measure, melt and manipulate ingredients for batches of soap that weigh 30+ pounds, a kitchen to handle the large pots and pans and other greasy tools, and a place to store thousands of cut up bars of soap. At this point in time, I’m maintaining with manageable growth. Pam shared more in-depth information about Kettlepot Soap. Generally, she gives a new product or a scent 1 year or so before she’ll either discontinue it or make further alterations. On average, she works on Kettlepot Soap products for 2 to 3 hours a day, 7 days a week. To accommodate extra holiday business or shows, however, it can take 5-10 hours of work a day to keep up. There is always work to do – making the products, maintaining the website, packaging the goods, reading books, and formulating. The best way to achieve long-term success is by keeping happy customers and providing outstanding customer service. Especially for a small business, the owner needs to attract a strong customer base. Happy customers: 1) become repeat customers, 2) tell their friends, and 3) buy your items as gifts. Creating happy customers is an excellent way to get word out about your business. In this way, customers help build your successful customer base. But this is a result of having a great product! Pam uses shows, markets, craft and gift stores, and email newsletters to inform people about Kettlepot Soap. She helps her customers try new products by including samples with orders. And she has a lot of testers at shows for folks to try before purchasing. As far as Kettlepot Soap business’s start-up costs, Pam did not take out any loans or other funding. She began soap-making as a hobby. And believe it or not, she was able to find a number of tools, such as bowls, mixers, pots, and pans, at second hand stores and yard sales. She used her personal money to finance the acquisition of these tools and ingredients. When she made the transition of hobbyist to small business owner, she took her profits earned through Kettlepot Soap, and reinvested them by purchasing better tools, equipment, etc. Since beginning business, Pam made it a goal not to utilize her personal funds to maintain or further expand her business. The business must stand on its own. Kettlepot Soap opened for business in 2000, and the online store opened in 2003. The Internet has offered a new way to network and to provide an outlet for her to restock in between shows. (Soap is an odd commodity because it is quite heavy. To meet the demands of shows, a lot of work is required to manage these heavy products.) Pam went on to share that the two most satisfying moments in her business were Kettlepot Soap’s first internet order, and her first “thank you” note from a customer telling her that they were thrilled with Kettlepot Soap products. Kettlepot Soap is marketed in various ways. Pam always carries business cards and gives them out when she can. She plans to carry samples to give out with the cards. She uses email newsletters, Facebook, and Twitter. Currently, she is advertising via an online radio station. She also uses banners at her shows and wears customized shirts featuring the KPS design. She’s also given shirts to family and friends who have supported her along the way. Pam’s greatest inspiration has been her dad. Her father supported the family by running his own business and supplementing the business with odd jobs when needed. She knows it was a lot of work for him, and now that she’s older, she finds it inspiring (and amazing) that he’s managed to provide such an abundant life for her and the rest of the family. Pam shares that the major difference between entrepreneurs and those who work for someone else is how they tolerate risk. Some folks are risk adverse and need to know that they will get paid and have health insurance. Some folks are willing to forgo that security for pursuing their dreams. And some folks, like the owner of Kettlepot Soap, find a way to do both. When Pam’s not busy creating products for Kettlepot Soap, her hobbies include gardening, knitting, sewing, and crocheting. Someday, she hopes to make jewelry with all the beads she’s collected. As an entrepreneur, the biggest sacrifice Pam has made is her free time. A second sacrifice is space in her home. Soaping supplies take up a lot of space! Pam doesn’t necessarily have a favorite company, but she does think that her new favorites are independently owned businesses. She enjoys seeing the lovely things that talented crafters are making and selling on their local shops and on their own sites. When asked where did Pam see Kettlepot Soap in 10 or 20 years, she replied that she plans to continue on with KPS, growing her product line, and providing skin-care treats for her happy customers in the foreseeable future. Pam added that should there come a time when she can no longer lift 40 pounds to meet the demands of selling soap at shows, then she will then sell mainly online and via craft and gift stores. Excellent plan, Pam! Thank you for being an inspiration. To read the full interview with Pam, click here…. John Tunui speaks from the heart. He is a self-employed, full-time commercial artist. Interestingly enough, he does not have a second job to support this artist career. He is self-sufficient. Currently, he sells postcards which feature his original hand created paintings of San Francisco. He sells his products in a single booth at the marketplace in front of the Ferry Building,on the corner of Steurt and Market in the city. He works independently Monday through Friday, and does not have employees (although he adds that it would be nice to have assistance). Prior to becoming an entrepreneur, John held a day job like the rest of us. He worked in restaurants serving as a cook, busboy, and a dishwasher. During that time, he developed and sold his creations. In 2007, he left his day job to pursue his art full time. Originally, his first calling was writing. His gift for words is evident in his speech. He just recently published his new manuscript. (Stay tuned for more information about this in a future blog article.) He has previously published his poetry and writing as well. And you can find some of his work in the Margo King Lenson (ed. ), “Pacific Voices” Talk Story, vol. i (Vacaville, 2001). He was trained in the classical style of painting, but he considers himself self-taught and self-discovered as far as his unique style of painting today. He uses watercolor to capture highlights of the city, such as the Golden Gate Bridge, Castro, and Baker Beach. In the near future, he will host his artwork online. Thus far, he’s sold over 30,000 cards in 5 years. 1) Always keep in mind that you are an artist first. a. Don’t let commerce dictate your art. b. Don’t rely on sales to justify your art. c. Be open to learning more because multiple disciplines round out an artist. 2) Get your administrative work done first! a. These days, buyers want to invest. They want to know that you will still be around to create art. b. Market your image now, and organize the administrative aspect of your work life. You don't have to wait until after you’re dead to be discovered; you can reap the benefits now. One recommendation is to connect your daily life to the arts: the two can co-exist. 1. Small Business city permit (cost about $35). Register your business name. 2. Seller’s permit (free) from Board of Equalizers. 3. Post an advertisement in the newspaper, and keep the advertisement for one month. City Hall will give you the most affordable advertisement. 4. Open a business checking account. You can either extend it from your personal account, or open a separate business account. 3) Be confident because your talent is between you and God. He finds inspiration in many forms. He’s reading “The Great Gatsby”, and studying the simplistic style of writing, and the effectiveness of clarity. He added, “F. Scott Fitzgerald is a great writer!” He also enjoys the paintings of Raoul Dufy, J.J. Sempe, Spencer Gore, and Marc Chagall. John is of Maori descent and was born in the Cook Islands. Currently, he works in San Francisco. I chose him as my first interviewee for The Dream Makers Project because I felt a kinship in our Polynesian heritage and our love for the arts. I am also inspired by his self-employment. Someday, I’d like to be an entrepreneur, and examples like his remind me that it’s possible. Interview conducted on June 3, 2012.